Scena Theater (website/Facebook) is one of my favorite clients. Their productions are always incredibly well done and the people who are in and help run the shows are all really cool human beings. I’ve been blessed to work with them for their past seven productions (The Norwegians, Shining City, Handbag, Molly, The Cripple of Inishmaan, and The Importance of Being Earnest, and Antigone Now). 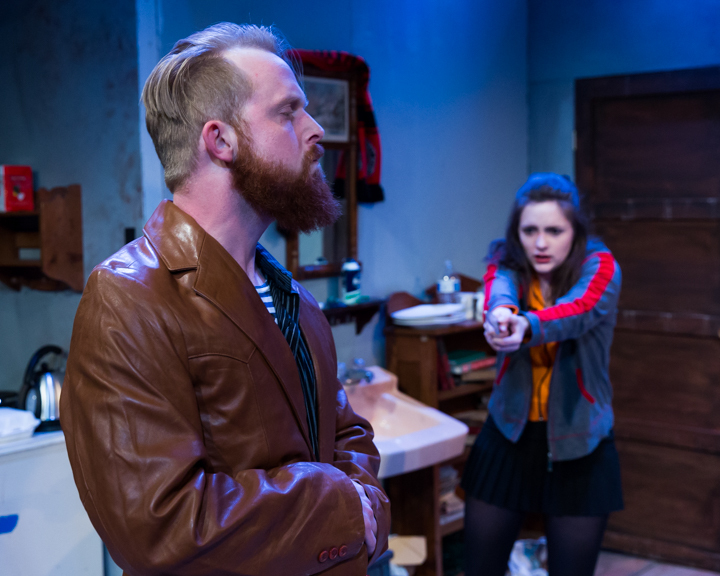 Their current production, The Night Alive, is currently running atAtlas Performing Arts Center in Washington, DC and has amassed a large number of very well-deserved reviews (including Broadway World, DC Theatre Scene, and On Tap Magazine). 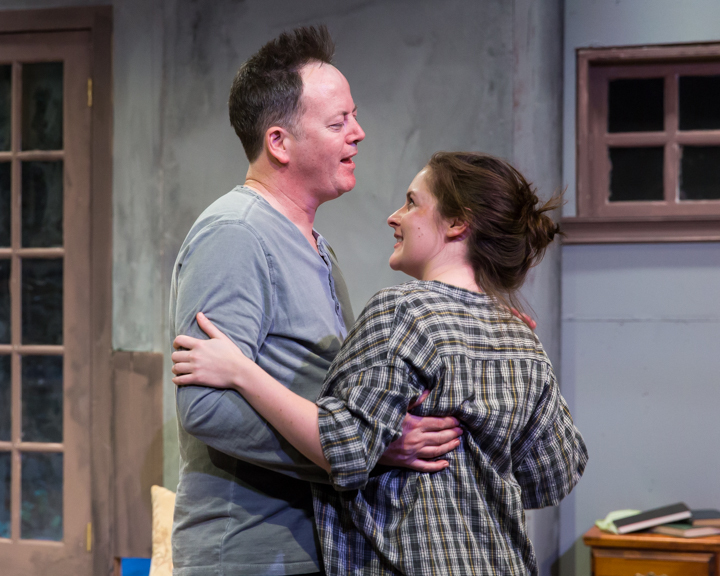 Barry McEvoy and Molly Goff in Scena Theatre’s Production of ‘The Night Alive’. 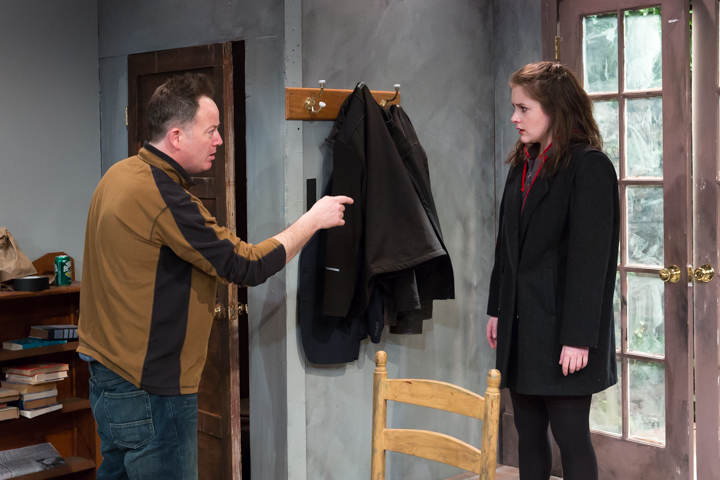 The Night Alive is a play by Conor McPherson, Ireland’s most highly acclaimed modern playwright, and is the sixth production of a play written by him (previous productions being Dublin Carol, The Weir, Shining City, This Lime Tree Bower and The Seafarer). 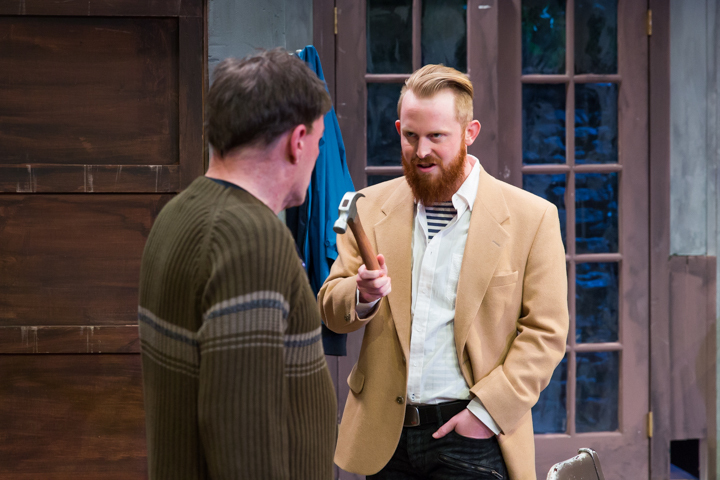 It is directed by Robert McNamara and features Irish actors Barry McEvoy and Brian Mallon as Tommy and Doc, Ron Litman as Maurice, Robert Sheire as Kenneth, and Molly Goff as Aimee. The crew, who did an amazing job giving life to the set, include Michael C. Stepowany (Set Designer), Alisa Mandel (Costume Designer), Marianne Meadows (Lighting Designer), Denise Rose (Sound Designer), Anne Nottage (Assistant Director & Literary Manager), Jenna Lawrence (Stage Manager), Gabriele Jakobi (Dramaturg), and Joey Aubry (Property Master).  All shots were taken with a Canon 5DIII and a Canon 24-70 f/2.8L II or 70-200 f/2.8LII lens. Stage/theatre photography can be tough – incredibly dynamic movements, limited mobility by the photographer, quick changes of expression, and lighting changes. As a photographer, anticipation and the developed ability to track movement are incredibly helpful here. Luckily, Scena has always been amazing to coordinate and work with, making my job that much easier. 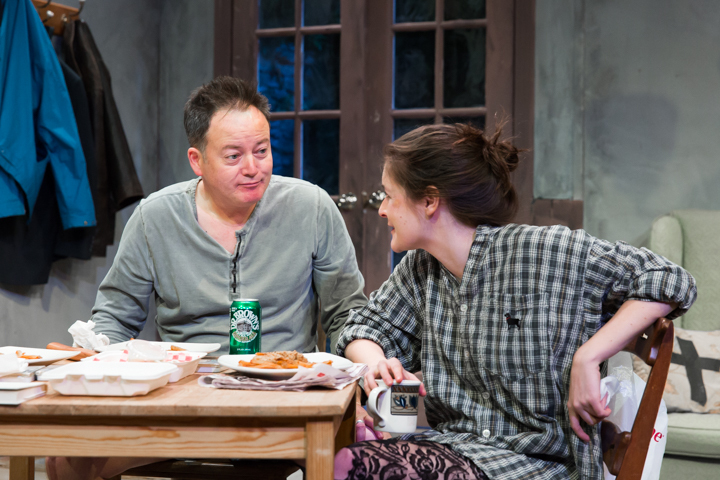 Brian Mallon, Molly Goff, and Barry McEvoy in Scena Theatre’s Production of ‘The Night Alive’. 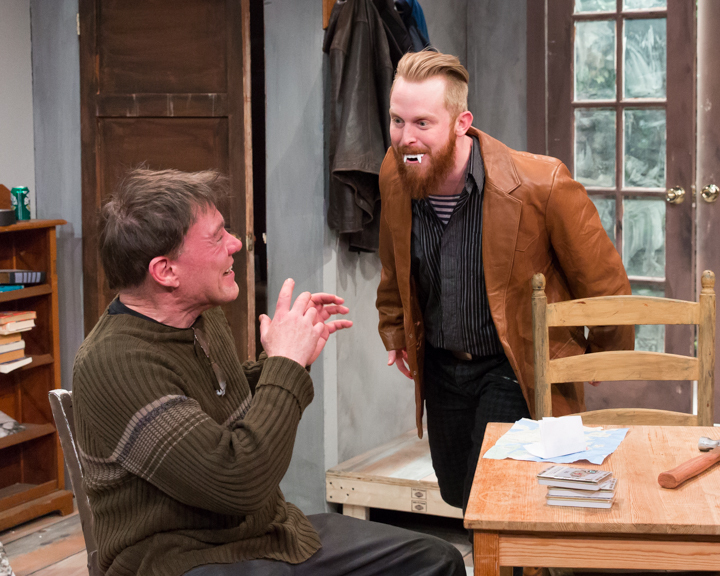 Brian Mallon and Robert Sheire in Scena Theatre’s Production of ‘The Night Alive’. 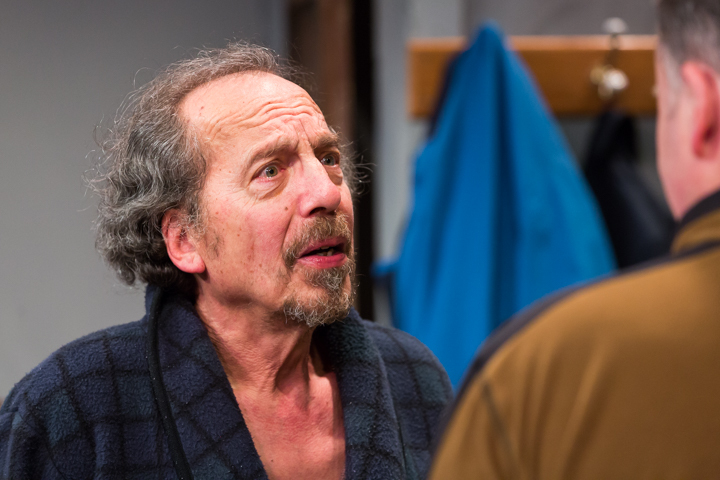 Ron Litman in Scena Theatre’s Production of ‘The Night Alive’. 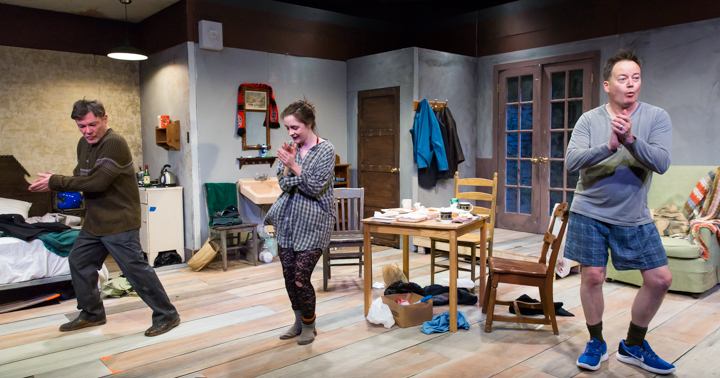 Robert Sheire and Molly Goff in Scena Theatre’s Production of ‘The Night Alive’. 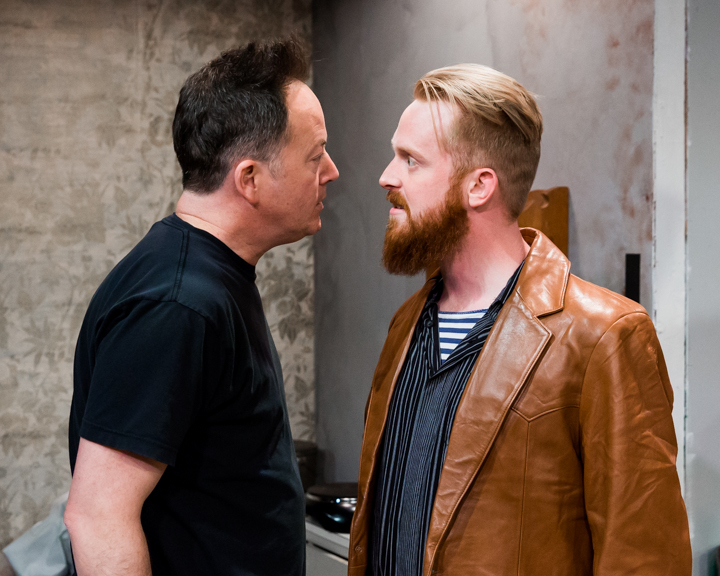 Ron Litman and Barry McEvoy in Scena Theatre’s Production of ‘The Night Alive’. 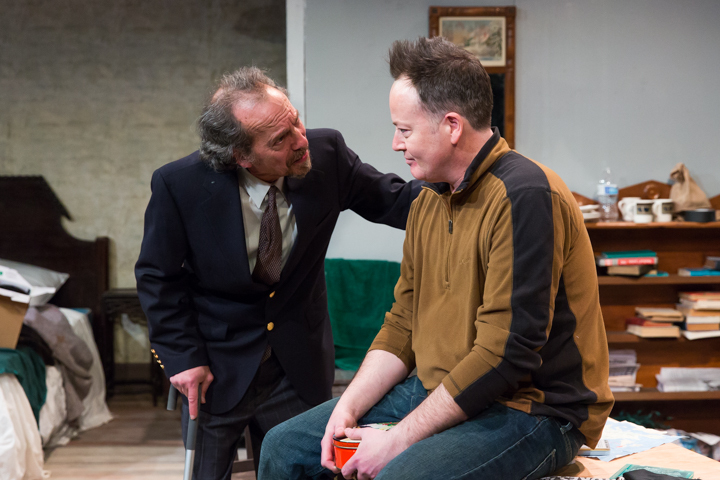 Barry McEvoy and Robert Sheire in Scena Theatre’s Production of ‘The Night Alive’. The show will be running at ATLAS Performing Arts Center (1333 H Street NE, Washington, DC 20002, 2020 Shannon Pl SE, Washington, DC 20002) until April 9th. Tickets are available at www.scenatheatre.org. The reviews are in and very good. I loved everything. especially the ending, which really hit me hard. GO SEE IT! 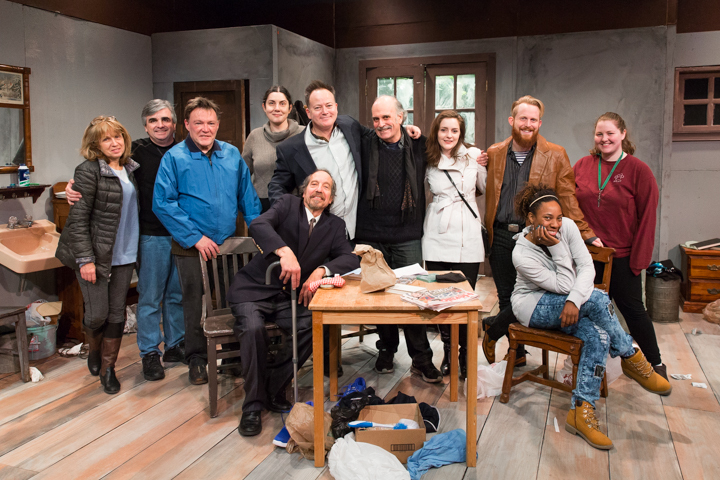 Cast and crew of Scena Theatre’s Production of ‘The Night Alive’.